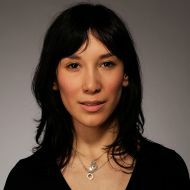 Feo Aladag’s German drama When We Leave won prizes for best feature and best actress (Sibel Kekilli) at the Tribeca Film Festival awards ceremony tonight. Alexandra Codina’s Down syndrome study Monica & David won best documentary and Eric Elmosnino received the best actor prize for his role in Gainsbourg, je t’aime … moi non plus. Dana Adam Shapiro’s relationship drama Monogomy was picked as the best New York narrative. The festival has not yet seen distribution deals for any of the available titles, a group which includes Monogomy, though talks have begun for several films. The Heineken Audience Award will be announced Saturday during the festival’s wrap party.